How Often Can You File? 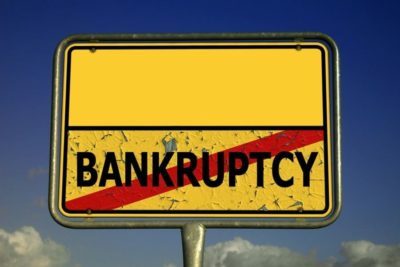 Below is our fourth installment in a series of posts regarding Arizona Chapter 7 Bankruptcy issues raised by Arizonans about Chapter 7 Bankruptcy. Since almost every situation is unique, the best thing you can do to get your questions answered is meet with an attorney at Phoenix Fresh Start Bankruptcy Attorneys to discuss all of your options and alternatives. Will the Court Tell My Employer About My Chapter 7 Bankruptcy? Unless your employer is also a creditor, or there is already a garnishment in place, there is no reason why your employer should be informed with respect to your chapter 7 bankruptcy filing. In any event, an employer is legally barred from discriminating against an employee because of the employee’s bankruptcy filing. Phoenix Fresh Start Bankruptcy Attorneys will make certain that all of your rights are protected. Your employer may, however, discriminate against you if you let them know that you intend to file bankruptcy. So keep your plans to yourself. How Stop the Creditor Calls? As soon as you hire Phoenix Fresh Start Bankruptcy Attorneys as your attorneys, you can start referring all of your creditor calls to our office, and we can take them from here on out. While there is the occasional wacko out there who just got out of prison and is now working as a “collector” out of some basement “office” in New Jersey and will not get the point, most creditors that we deal with are happy to get your file off their desks. As soon as we verify that we represent you, they take you off their auto-dialer. How Do I Rebuild My Credit after a Chapter 7 Bankruptcy? While a Chapter 7 Bankruptcy may be legally reported on your credit report for up to 10 years, who cares? The reality is that you can begin to reestablish your credit immediately after your bankruptcy discharge. Our firm actually pays a company to help you with educational materials and guidance to help you really ramp up your score once your case is done. We offer their services at no additional cost to you. Lenders consider many factors in their credit decisions, but the most important of all factors that they will consider is your debt-to-income ratio. Generally, because bankruptcy eliminates all your unsecured debt, your credit score often improves upon the filing of a bankruptcy because of the elimination of debt. Phoenix Fresh Start Bankruptcy Attorneys takes a holistic approach to bankruptcy. We think filing is about more than just moving entries from column A to column B. We think bankruptcy really should be about you returning to the financial mainstream. Following up on the free educational opportunities we offer after discharge is a great way to make that happen. Can I File Chapter 7 Bankruptcy on Some of My Creditors but Not Others? No. Legally you must list all of your creditors, including family and friends, on your bankruptcy schedules. In fact, a willful failure to list a debt could result in the denial of your entire bankruptcy discharge. At the same time, You are not barred from voluntarily paying certain debts after your Chapter 7 Bankruptcy case has been filed. Phoenix Fresh Start Bankruptcy Attorneys can explain how you can legally repay any debt you want after your bankruptcy is done. Who will Know about My Chapter 7 Bankruptcy? Parties who receive notice of the bankruptcy are the Bankruptcy Court, the IRS, and the Arizona Department of Revenue and of course your creditors. Your Bankruptcy filing is a public record, so anyone who wants to do some digging could find out about your case. Many people believe that notices of all bankruptcies are printed in the newspapers, but that is no longer the case. Is It Legal For a Creditor To Take My Tax Refunds? How Do I Get the Bankruptcy Attorney That Is Right For Me? Does Bankruptcy Negate Alimony in Arizona? Is my Debt in Bad Company? Are considering filing a Chapter 7 Bankruptcy or Chapter 13 Bankruptcy in Phoenix, Arizona? Then, you probably have questions. Please give us a call or use this form to tell us about your situation. We’ll take the time to answer your questions and discuss your options. We are a debt relief agency helping people get out of debt, including, where appropriate, filing petitions for relief in Arizona bankruptcy courts.